It doesn’t matter if you are an established company or a new startup; IT projects will always pile up at every stage of the business.You would have to consider deadlines to meet, businesses to execute, among other demands. How will you be able to handle your business plans and at the same time finish your IT projects, on time? Note that without the support of experts, it will be difficult to find the right software development tools that you will need for smooth business operations. The ANSWER is to find a reputable software development company! There are several ways to go about choosing one, and below is a list of vital points to consider before striking a deal with any company. When thinking of outsourcing your IT projects, it is essential that you seek for a software development company that exhibits similar values as your business. Also, a reputable software development company should be able to present significant references and certifications, along candid answers to inquiries that you may ask. Transparency in communication helps create the basis for mutual understanding and respect for intellectual property and confidential matters. Ensure to place your IT projects within the hands of expert software developers that will guarantee that your job is thoroughly and professionally completed. It is essential to carry out due diligence in this regards before signing or agreeing on anything. Identify what you really want: As a business owner, it is essential that you have a business model on ground. It means that you should have objectives, know your target audience, and strategies to succeed. Understanding these basics will help you find a reputable software development company that will suit the scope of your business. Seek for a software company that is known for good reputation. Do it by finding out such company’s relationship with clients. 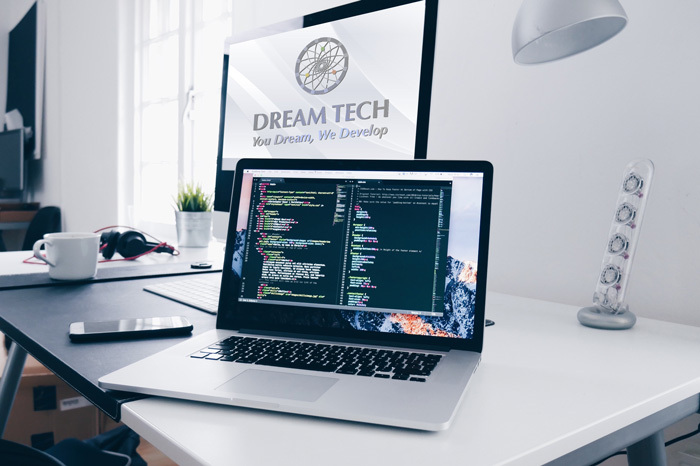 If you plan on hiring the best Software development company Boca Raton, Florida, then it’s important to find out how the company deals & relates with its clients. Communication is important when building a business partnership. Find out if concrete discussions are initiated during the early phases or all through the entire development process. Furthermore, it is vital that you find out if the software company has a workforce of highly skilled professionals. Aside skills, the company should have software developers that have the capacity to face and conquer hurdles. A software development company should also be able to perform projects within minimal time frame, and should have reputation for not missing deadlines. Lastly, you have to consider pricing, as this will help you stay right within budget. A reasonable software development company will offer flexible pricing options! Choosing the right software development company requires loads of planning and research. And never forget that your choice of a company will have a long-term effect on your business; so go for one that best suits you. DREAMTECH is a leading software development company in Boca Raton, Florida and has a workforce of highly competent software developers. Save yourself the search and work with a reputable firm that was tested by hundreds of satisfied clients! From shopping to calling a taxicab, mobile apps are progressively turning into a huge piece of our every day lives. As indicated by a BI Intelligence report, buys made through mobile gadgets expanded 48 percent year-over-year to around $8 billion in the second quarter of 2014. Another comScore report recommends that more than 60 percent of web movement for the nine greatest US retail sites originated from mobile gadgets in July 2014 and the greater part of them began from mobile apps. At present, mobile gadgets represent 22 percent of all retail eCommerce deals in the U.S., which is relied upon to achieve 27 percent by 2018. Actually, very nearly 33% of eCommerce deals begin from mobile gadgets and larger part of them are in-app deals. Mobile apps are along these lines on rise and this isn’t just constrained to retail scene. From gaming and stimulation to big business apps, it is practically difficult to live today without them, making these apps the quickest developing class in contemporary versatility market. As indicated by a Flurry Analytics study, the normal US mobile shoppers burn through 86 percent of their “cell phone time” on apps. The study found that cell phone clients spend around 2 hours and 42 minutes by and large on mobile gadgets, out of which app utilization summons 2 hours and 19 minutes. As of May 2014, mobile gadgets represent just about 60 percent of the aggregate advanced media time spent and 51 percent of that time was spoken to by app utilization. Another Nielsen report recommends that cell phone clients spend around 89 percent of their media time in mobile apps, and the remaining 11 percent on mobile web. Given these measurements, it is clear that mobile apps are good to go to make omnipresent vicinity in the coming days. It’s a given that you ought to utilize them further bolstering your good fortune, in the event that you haven’t as of now. What’s more, this requires you not just to stay redesigned about the most recent patterns in the mobile app development scene, additionally apprehend the future patterns well ahead of time to survive the business sector rivalry. Here are 4 forecasts about mobile app development in 2016. A Gartner report estimated that more than 75 percent of mobile apps (speaking to 3 out of each 4 applications) will fizzle essential efforts to establish safety through 2015. This issue kept the app developers on their toes every single through this year and prone to remain their prime center in 2016 too. We should take Apple for instance. The iOS 9 stage is as of now known for its top of the line security highlights and developers need to guarantee that their apps can run safely, without trading off the uprightness of the iOS stage. The efforts to establish safety for Android app development is additionally prone to get significantly more grim as Google too is expanding their security conventions for Android 6.0 Marshmallow. It is extremely unlikely you can ignore security holes in your mobile applications on the off chance that you need to see them in the app stores. Indeed, these strict security conventions are very reasonable, given that apps today are progressively putting away individual and exceedingly delicate data including bank points of interest and SSN of the client. Any sort of security crevices can bring about hacking and data spills, which has as of now been a noteworthy cerebral pain for app developers this year. You will consequently need to truly follow up on mobile app security in 2016. Cloud innovation assumed a noteworthy part in mobile app development all through 2015 and this is liable to proceed in the coming years too. The purposes for the upsurge of cloud-based applications is essentially two-fold. To start with, developers can keep the real size of their mobile apps little, on account of cloud-backing. This further permits them to deal with the data transfer capacity and planned memory issues better. Besides, clients can adjust their apps over numerous gadgets due to cloud similarity. This is truth be told a need, considering the developing use of numerous brilliant gadgets and wearable tech. With cloud similarity, developers can now fabricate apps that give same elements, capacities and information over different gadgets. As should be obvious, cross-usefulness between stages like iOS and OS X is as of now on rise and Android and PCs are additionally taking after the suit. There has been a sensational ascent in number of mobile apps accessible on the app stores. Starting July 2015, Google Play Store has more than 1.6 million apps, while Apple’s App Store has 1.5 million accessible apps. Among every one of these apps, venture apps gets the most extreme footing, taking off over purchaser apps. Just about 20 percent of worldwide developers are focusing on undertakings, attributable to their financial advantages. Besides, concentrates likewise demonstrate that 43 percent of big business app developers are making over $10K in a month, though just 19 percent of customer app developers make a comparative sum. This alone clarifies developers’ “adoration” for big business apps. This pattern is prone to proceed in the coming days too. It is assessed that very nearly 35 percent of every expansive enterpris will have their own particular mobile app development stages by 2016. Gartner even anticipated that before the end of 2017, the business sector interest for big business mobile app will beat the IT associations’ ability to convey them by five to one. Web of Things is as of now a major thing, because of the buzz made by Google Glass, iWatch and other wearable techs. 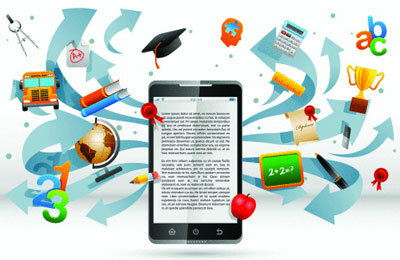 What’s more, now, it is good to go to take app development to the following stage. As per Cisco, “IoE Creates $19 Trillion of Value at Stake for Companies and Industries.” TechNavio too predicts that IOT business sector is required to grow 31.72 percent (CAGR) somewhere around 2014 and 2019. Gartner, then again, gauges that the income era for IoT item and administration suppliers will surpass $300 billion in 2020. Also, on the off chance that you are to trust World Economic Forum, more than 5 billion individuals will be associated with one another, crosswise over 50 billion things. So don’t let Internet of Things take a secondary lounge in your app development procedure in light of the fact that Google Glass neglected to experience the desire. Actually, wearable savvy gadgets will stay unabated. Take inspiration from the blossoming accomplishment of iWatch. Apple has put significant difficulties for WatchKit developers with their dispatch of watchOS 2 this year. To stay in then rivalry, you won’t just need to make app augmentations for watch additionally make applications that consistently fit the usefulness of such wearable gadgets. The app-mean Apple Watch has effectively crossed 10000 and it is required to develop no less than three-fold before the end of 2016. 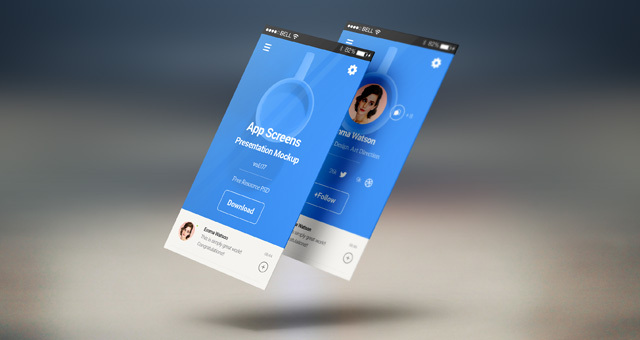 Some of these mobile app development have as of now picked up force while others are gaining a relentless ground. Be that as it may, there is most likely they are going to make critical imprints in mobile app development scene in 2016 and past. On the off chance that you are yet to attempt your hands on these patterns, ample opportunity has already past to prepare yourself to make a definitive mobile encounters for your clients. What’s more, obviously, be prepared and energized for every one of the advancements 2016 is liable to carry alongside it. Why would you like to build a mobile app? Would you like to ride the rush of different entrepreneurs, or did you run over an issue that you feel you can resolve? The response to this inquiry will figure out if your app will be effective or not. Here is a manual for kick you off, however note it may not work for everybody. This is drawn from my experience working for over three years with entrepreneurs, offering them some assistance with building and market their mobile apps. Take from it what suits your system best, or tail it to the grip. The vital part is to begin. Step 1: Find an Idea or a Problem. In the event that you as of now have an app thought, move onto step two. If not, read on. Need to fabricate an app however don't have an app thought? What you truly need are issues, and they're all over! Effective entrepreneurs take care of issues in a way that we couldn't have envisioned. When you check out you, each item and administration you utilize were all made to tackle an issue. You needed to get starting with one place then onto the next quicker, you got an auto. You needed to get starting with one nation then onto the next quicker, you got planes. So search for issues in your day by day life and rundown every one of them. When you have a comprehensive rundown, then begin to think on how you can resolve them and shortlist the ones that bode well. Step 2: Identify the need. Approval will demonstrate that an interest exists for your app. You can approve your thought by utilizing the Google Keyword Planner instrument to search for the quantity of individuals searching out what you're attempting to do. You could likewise manufacture a point of arrival that extensively highlights your app thought and look for client enthusiasm through an email information exchange. Step 3: Orginize the layout and features. Approval of your app thought implies that you have something that individuals need to utilize. This is the ideal opportunity to detail your item onto a report, or in the event that you need to go the additional mile, utilize a wireframing apparatus. At the point when putting your thought down on paper, recall to be as nitty gritty as could be allowed. Incorporate the stream of how the client will explore the app and in addition every one of the components imagined. This will push your developer to plainly comprehend your desires. Step 4: Remove non-core elements. From the stream and elements report you arranged, begin taking a gander at components that you can evacuate. Offer just the center estimation of your app thought. Try not to manufacture highlights in the first form that are "pleasant to have" and can simply be included later as an upgrade. This will keep the introductory expenses of development down furthermore offer you some assistance with getting to advertise speedier. Step 5: Start Designing. I have heard numerous entrepreneurs saying they need an exceptionally fundamental outline and need to concentrate on simply developing an app. They are so off-base! Outline is about how your app looks, as well as it's about how a client will encounter the app. Vinod Khosla of Khosla Ventures best clarifies it: "Configuration is a method for making innovation helpful." So search for a developer who puts outline (client experience and representation) first. Step 6: Hire a designer/developer (DREAMTECH, Us :)). Look for a development organization that has extraordinary configuration ability and a strong development group. While employing a developer, go online to beware of their believability and the apps that they have made. In the event that you truly enjoyed an app they made from their portfolio, odds are, they could be the right one for your item. Step 7: Create developer accounts. You must enroll for a developer account with the separate app stores to have the capacity to offer your app through their online mobile app stores. Google's Android charges $25 a year and Apple charges $99 every year. You have the choice of enlisting as an individual or as an organization, in the event that you as of now have one shaped. Step 8: Add analytics. Investigation offer you some assistance with tracking downloads, client engagement and maintenance for your mobile app. Ensure you utilize instruments, for example, Flurry, which is accessible for nothing, and Localytics, that has a free and paid adaptation. Step 9: Get feedback quickly and improvise. Once your app goes live on the app store, the first arrangement of clients' use and conduct will give you knowledge into how to enhance and upgrade your app. Upgrades and changes are consistent, so watch out for client input and continue building. Step 10: Introduce features. You manufactured adaptation one with constrained components and just the center advertising. Right now is an ideal opportunity to assess and present the remaining components that were forgotten in the starting form. You will know through examination and input whether the elements are important any longer. These strides are not holy, yet rather a rule to fabricating your app in the best way in light of my experience. Once you're prepared to begin, you should likewise realize that building a mobile app is the most effortless part. Getting clients is the place the test lies.